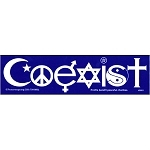 This Coexist or Coextinct Sticker features ancient mythological symbols. 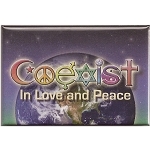 All represent systems of belief that were as true for their ancient people as Christianity, Judaism, Muslim or any other faith system alive today are true for modern followers. Inspired by a customer wishing to see more pagan and druid types of symbols, we realized the lesson this design posed to us as a warning. 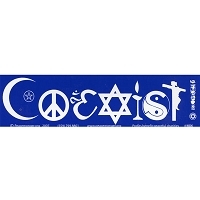 Today's religious leaders may consider these faiths as endangered if they fail to COEXIST. 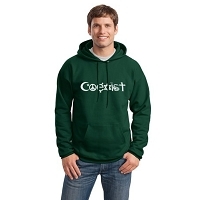 Symbols on this design include a Labyrinth or Maze, a repetitive motif across many eons and cultures. A Zuni sun symbol is followed by a Thunderbird. These arose from tribes among the American continent. A triple interlocking triangle represents ancient Viking Valknut. 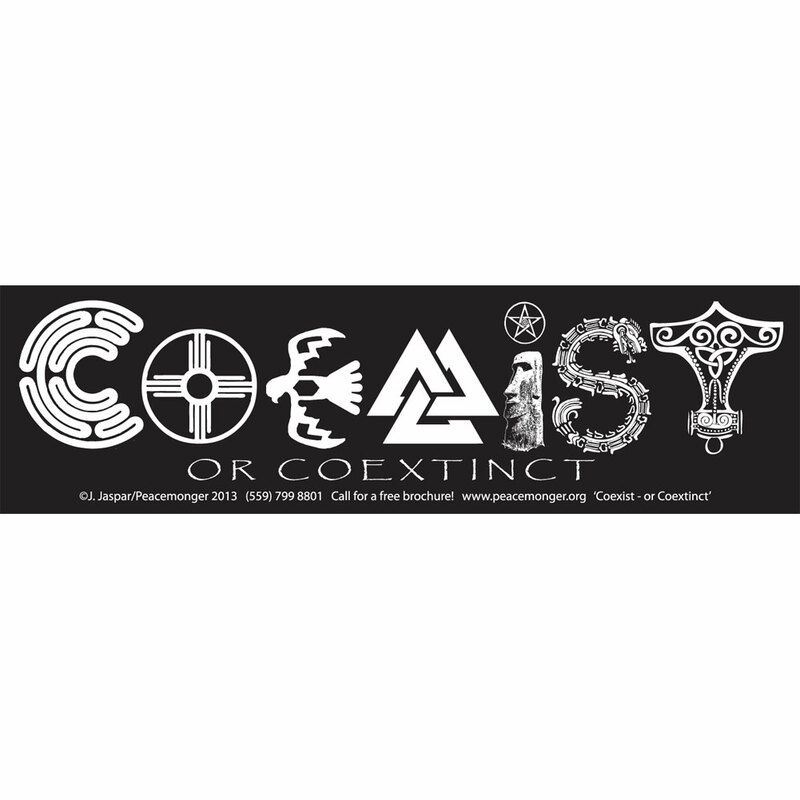 A head from Easter Island, Mayan feathered serpent god Quetzalcoatl, and the hammer of Thor, Mj”lnir complete the ancient sequence of symbols to spell "COEXIST."